What makes a great assignment? 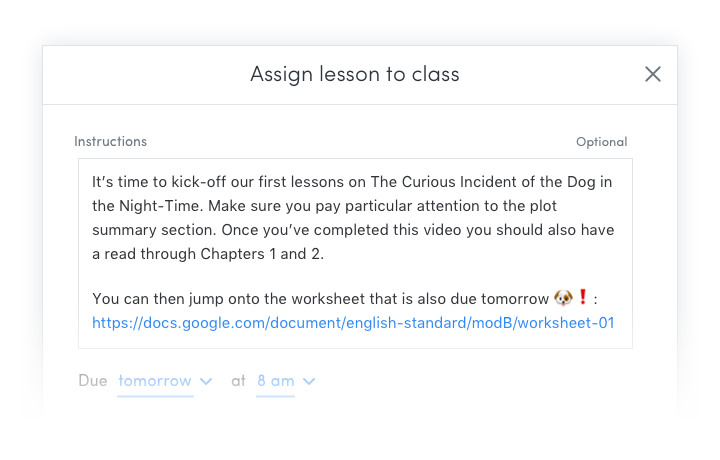 Assigning lessons to your class on Atomi is super simple, and in just a few clicks you can get your students on task and engaged with the content. It's even possible to take your assignments to the next level—boosting engagement, retention, and results. 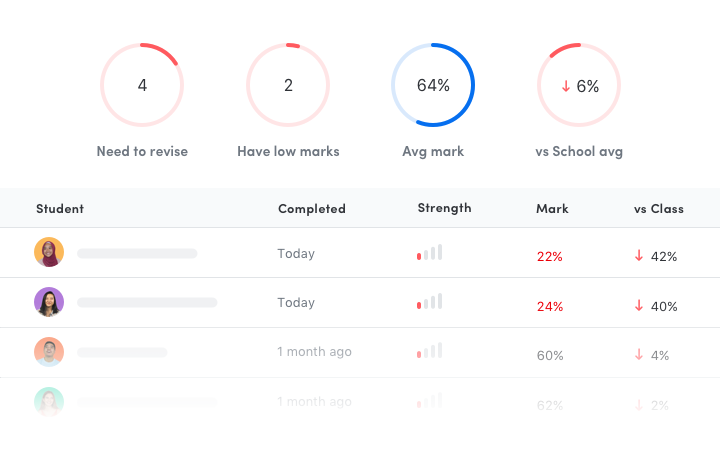 In this guide, we'll step you through what the best teachers are doing to make sure their assignments always hit the mark (pun intended 😉). When assigning lessons, make sure that the due dates match your in-class teaching schedule. This ensures that assigned lessons are always relevant to what your students are learning in class, reinforcing and extending their understanding. 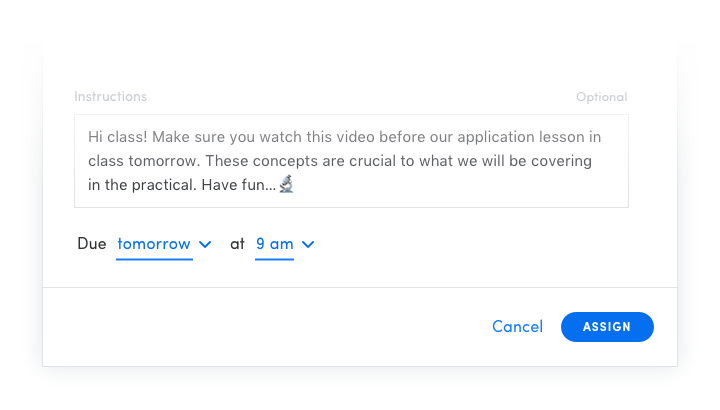 With every assignment, you have the option to add instructions to guide your students. This can be a great opportunity to kickstart your students' higher order thinking and promote active learning. You could use personalised instructions to highlight particular sections of the lesson that students should focus on, add some active recall questions or even seed in-class discussion with an intriguing follow up question. The very best assignments deeply engage students in critical thinking and self-reflection, enabling them to walk into your class ready to engage and contribute. You can even paste in a link to external resources such as a survey, further reading materials or worksheets. Feel free to get creative! It can often be tempting to operate in bulk, taking an entire topic or two of lessons and assign them on the day before the next assessment. However, if left to their own devices, many students will readily procrastinate until the very last minute. Setting due dates at a consistent and achievable tempo allows students to stay on track, avoid large fluctuations in workload and understand where there are issues early, while there is still time to address them. Assigning lessons should be a powerful tool in speeding up the feedback loop between teacher and student. Great assignments don't just provide informative data, they help dynamically change teaching practice. If the data suggest that some of your students are falling behind and not completing their work, make sure you follow up. If your class is weak in a particular topic, adjust your dates to spend a bit more time where it's needed. If individuals require extra support, they are taken aside for one-on-one or group interventions. The very best assignments aren't just cast aside when the due date passes, they inform and promote future actions to make your classroom more efficient and effective. Last but not least, it's important to remember that few things will have a larger quantitative impact on your students' performance than having a positive relationship with their teacher. Rather than making assignments just about the drudgery of marching through the course, feel free to inject your passion, enthusiasm, and personality into your assignments. Even a bad joke can make somebody's day now and then. When your students know you're invested in their happiness and success, it's easy for them to do the same.